Safety is the number one priority on any job site. Sperry Instrument's testing equipment can be put to good use ensuring that electrical equipment is properly installed and safe to operate. The condition of electrical installations can be established when contractors use test equipment. Any test unit that can be used to measure or review an application without coming in contact with a live conductor is a necessity. Testing equipment can be put to good use ensuring that electrical equipment is properly installed and safe to operate. Faulty installations can be lethal; the condition of electrical installations can be established when contractors use test equipment. Sperry Instrument is pleased to offer an innovative full feature line of test equipment designed to make electrical work faster and safer. Our testers are designed with input from professional users, meeting the stringent demands of the job site. Durability, accuracy and safety are the three most important qualities expected of electrical testers and these products exceed expectations. The industry leading ten foot drop and two hundred fifty pound crush rating ensure a good product for a lifetime. To prove it, these units have a lifetime guarantee. Forward thinking design concepts ensure product usefulness for generations to come. 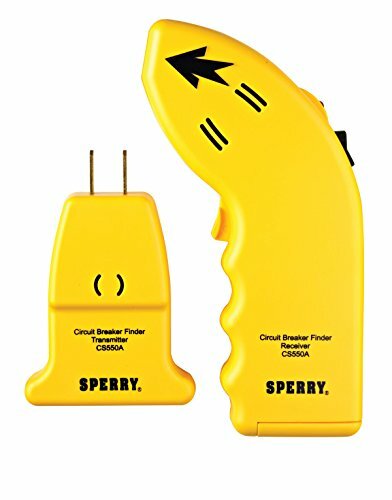 If you have any questions about this product by Sperry Instruments, contact us by completing and submitting the form below. If you are looking for a specif part number, please include it with your message.